Happy new year, guys! Here’s to even greater things for all of us in 2010 and the new decade! 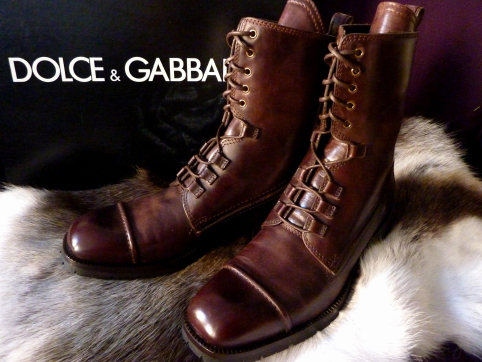 I have been searching high and low for a pair of boots with some heavily treaded soles for use on the snow. 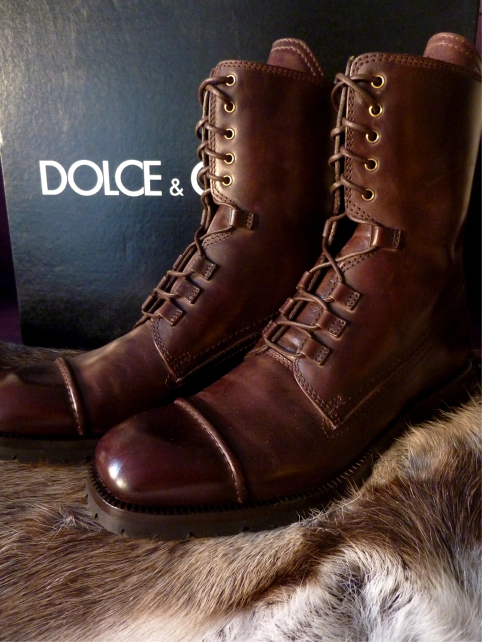 And my hunt ended with this pair of high leather boots from Dolce & Gabbana in dark brown calf and rubber soles. 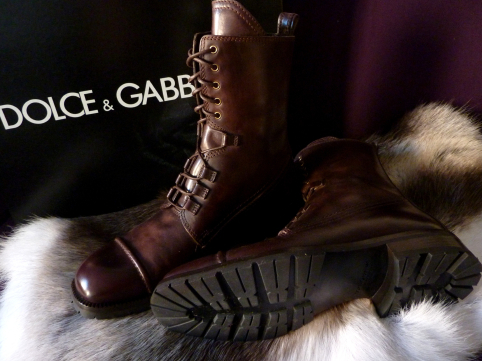 Though lacking in thermal insulation, it makes up for with its extra good surface grip and military chic stance. Louis Vuitton is presenting its Men’s Fashion Fall/Winter 2010/2011 collection on January 21, 2010 at 1430 hours, Central European Time. 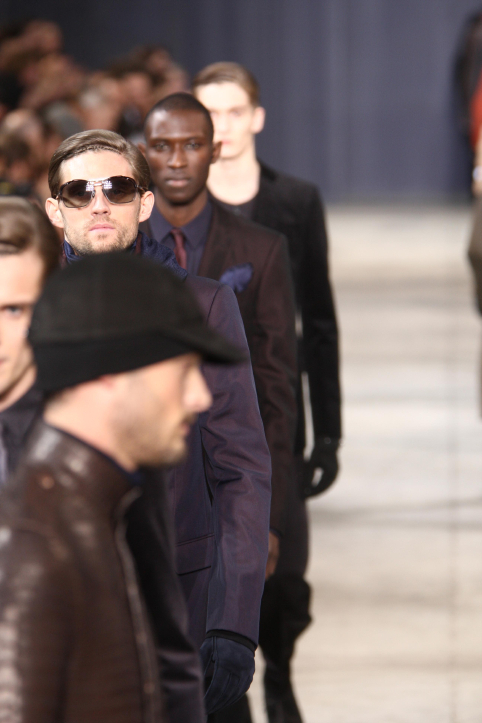 Menswear Paris Fashion Week will be from January 21 to 24, 2010. Since I’ll be on holiday during this time and probably in a place where the sun meets the sea, I’ll look at the photos from the runway when I’m back in Oslo. Other dates to mention for the dreamers, the fans and the lucky ones. January 21, Thursday – Gaspard Yurkievich, 1600h. Jean Paul Gaultier, 1700h. Dries Van Noten, 1900h. Henrik Vibskov, 2100h. January 22, Friday – Junya Watanabe Man, 1000h. Yves Saint Laurent, 1200h. Rick Owens, 1300h. Kris van Assche, 1500h. Comme des Garcons Homme Plus, 1600h. Cerruti, 1700h. Givenchy, 1800h. John Galliano, 2030h. January 23, Saturday – Kenzo, 1100h. Ann Demeulemeester, 1300h. Dior Homme, 1500h. Dunhill, 1730h. Hermes, 2000h. Raf Simons, 2100h. January 24, Sunday – Lanvin, 1100h. Paul Smith, 1700h. Agnes B, 1800h. Marc Jacobs and Lorenzo Martone in Hermes, Louis Vuitton and Marc Jacobs. I’m all jealous and tingly. With the color on Marc’s Birkin and how he unabashedly uses it as a beach bag at St. Barths. Drooool. 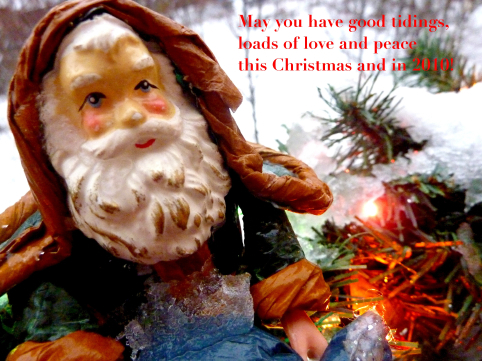 Here’s a warm Christmas greeting from a white winter wonderland in Oslo! 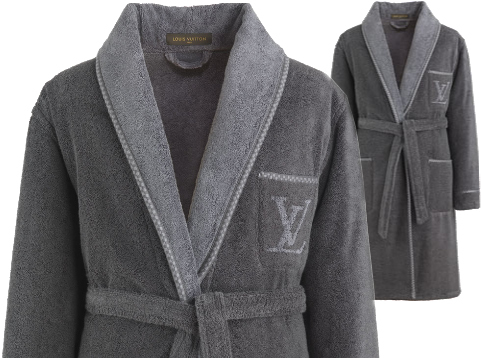 How luxurious is it to wake up to a toasty Christmas morning and putting on one of these Louis Vuitton bathrobes as you prepare a pot of coffee, with the sound of a warm bath filling in the background? Velvet Cotton Bathrobe, $885. 100% cotton, edges decorated with the Damier motif and the Louis Vuitton signature is written across the pocket. Also available in charcoal grey. 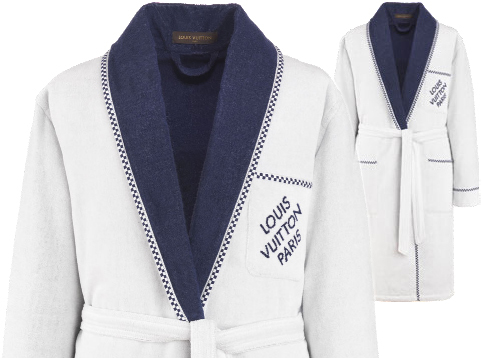 Damier Bathrobe, $885. 100% cotton, with Damier trim and the Louis Vuitton logo is embroidered on the pocket. Also available in white. a Damier Graphite Soft Briefcase?!? I jumped off my seat when I saw this photo at the Louis Vuitton website. It’s freaking gorgeous. I want!